The Internet of Things (IoT) Revolution is making inroads into the global shipping industry, and Danelec Marine plans to play a central role in accelerating that process by removing one of the major barriers to entry.“The critical element in any IoT system is the availability of timely, high-quality data through reliable low-cost connections from remotely located machines, equipment and systems,” explained Hans Ottosen, CEO of Danelec Marine. “That’s typically not a problem in land-based transportation modes, but is a tremendous hurdle for ships at sea. Inmarsat said it has reached an agreement with Campbell Shipping, a ship management company headquartered in Nassau, The Bahamas, to migrate its fleet of dry bulk carriers to Fleet Xpress. The commitment will involve a migration and upgrade from Inmarsat’s XpressLink services to Fleet Xpress, in a move to ensure ships managed by Campbell ships will continue to have the best satellite connectivity service available on the market, according to Capt. Anindya Dasgupta, VP Human Capital, Campbell Shipping. Satellite communications services provider Inmarsat said it has signed a Memorandum of Understanding (MoU) with shipbuilder Samsung Heavy Industries (SHI), establishing a relationship to leverage the ‘smart ship’ connectivity offered by Fleet Xpress at the vessel construction stage. The agreement envisages the South Korean yard installing Inmarsat-approved terminal hardware and offering applications to cover remote machinery diagnostics and CCTV services, to leverage the satellite communications platform’s capabilities from the moment the ship is delivered. Inmarsat is giving its full backing to a new joint working group formed by the International Association of Classification Societies (IACS) to develop a coordinated position on cybercrime and its prevention. 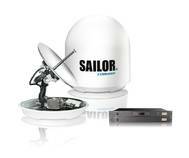 The maritime industry satellite service provider said that stakeholder unity was critical in meeting the unpredictability of the cyber security threat to shipping. IACS sees the JWG approach as key to driving pan-industry technical or policy initiatives forward where the issue identified affects not only IACS Members but other parts of the industry. Fleet Xpress has secured commitments covering in excess of 10,000 ships within 12 months of launch. The milestone has been reached as a result of contracts with individual ship owners, commitments from strategic Partners, and transitioning agreements with existing Inmarsat customers. “The demand for Fleet Xpress has been unprecedented since its launch at the end of March 2016, demonstrating that the market has been truly ready for the connected ship and the network supporting maritime business applications” said Ronald Spithout, President Inmarsat Maritime. Inmarsat will commemorate the untimely passing earlier this year of one of the architects of its Maritime Safety Operations network by sponsoring the first International Maritime Rescue Federation (IMRF) H.E.R.O. Award for outstanding service to maritime search and rescue, 'The Vladimir Maksimov Award'. The sponsorship is seen as a fitting tribute to Vladimir Maksimov, Inmarsat Director of SOLAS Services, who died on 4th May 2016 after a short illness, following 25 years with Inmarsat. Mr Maksimov played a central role in the Inmarsat safety team. The H.E.R.O. 26 July 2016: Inmarsat (LSE:ISAT.L), the leading provider of global mobile satellite communications services, has announced that its partner JSAT MOBILE Communications has signed an agreement with Mitsui O.S.K. Lines (MOL), one of the world’s largest shipping companies, to introduce the newly-launched Fleet Xpress service across the majority of its car carrier fleet. Existing Inmarsat customer MOL says migrating its car carriers to always-on, high-speed broadband connectivity will be pivotal in its continuing drive towards ‘smarter and greener shipping’ operations. London International Shipping Week (LISW) is proud to announce Inmarsat Global Ltd as Lead Diamond Sponsor for LISW 2017. Inmarsat is a British satellite telecommunications company which provides mobile communication services to the maritime industry worldwide. Inmarsat continues to be highly supportive of LISW, choosing to renew their prestigious diamond sponsorship positioning, which the company held in both 2015 and 2013. “London International Shipping Week is a highlight in the global maritime calendar,” says Ronald Spithout, Inmarsat Maritime President. Inmarsat has launched Fleet One Global, a service designed to offer basic voice and data connectivity to the maritime market. Fleet One Global is part of the Fleet One range of satcoms services developed for flexibility, reliability and simplicity, aimed at customers with low data needs looking for basic functionality, greater cost and usage control, with the reassurance of a trusted global commercial satellite network. The plug-and-play service delivers 100kbps voice and data at one global rate, eliminating the need for ship owners to use a patchwork of different providers. 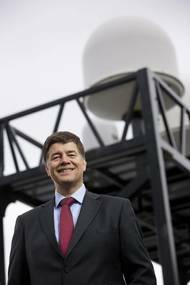 Inmarsat has marked the 25th anniversary of Inmarsat C by revealing that more than 600 distress alerts from vessels in urgent need were broadcast over the service in 2015. The disclosure demonstrates how the decision made by IMO administrations requiring all ships of more than 300 gross tons to be fitted with a Global Maritime Distress and Safety System (GMDSS) remains pivotal in protecting lives at sea. Inmarsat is the only safety services provider in the world approved to deliver GMDSS under the rigorous International Convention for the Safety of Life At Sea requirements. 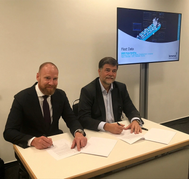 Inmarsat together with Global Marine Networks and Network Innovations, today announced the successful trial and subsequent commercial order for Fleet Xpress in Antarctic waters. Fleet Xpress, installed on board the adventure cruise ship Ocean Nova, delivered robust communications in one of the most hostile environments on the planet. Fleet Xpress, the hybrid Ka and L-band service using Inmarsat’s Global Xpress network, delivers the world’s first globally available high-speed broadband service from a single network operator.